minced meat or real meat. We usually make 3 zucchinis. 1,5 vegetarian for me and 1,5 with real meat for my husband. That's why the recipe says 1,5 zucchini. Of course, you can make more or less. Cut the zucchinis in half, length wise. so it's easier to stuff them. 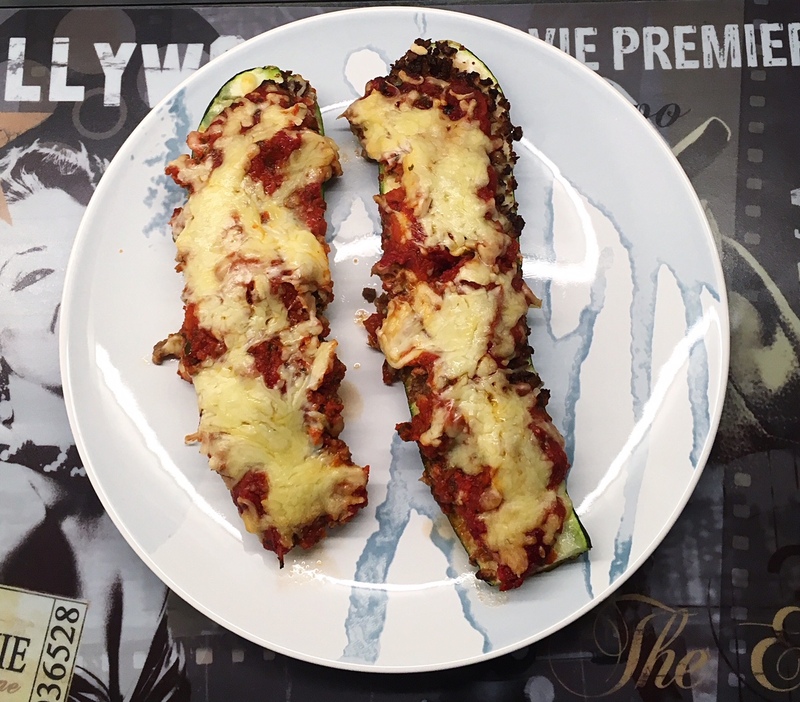 Fill the zucchinis with the vegetarian minced meat. Put a couple of spoons of tomato sauce on top. Add the grated cheese and put the zucchinis in an oven dish. Take the dish out of the oven and enjoy! Please don't forget to tag me on Instagram if you have made this dish.